Centrally located between the Monongahela River and Frick Park you will find the neighborhood of Greenfield in Pittsburgh Pennsylvania. Adjacent to Hazelwood, Oakland, Schenley Park, and Squirrel Hill, Greenfield is home to Four Mile Run, many recreational facilities, and is a major travel route through the city of Pittsburgh. Known for very steep hills and a chaotic street grid off the main roads, Greenfield is a predominantly residential neighborhood, but that doesn't mean that there isn't plenty to do here! The Greenfield bridge's implementation of the bicycle lane and pedestrian walkway is just one of the many ways the Greenfield residents show their passion for outdoor culture. In addition to this new bike path, Greenfield is also home to Four Mile Run and Eliza Furnace Trail, along with many other recreational facilities! Four Mile Run is a valley in Greenfield that grew around the growth of Pittsburgh's steel industry. Named after a stream that is approximately four miles above the point that empties into the Monongahela River, most people find they can recognize the valley from the golden lit dome of St. John Chrysostom Byzantine Catholic church, seen from I-376. For the hiking fanatics, there is Eliza Furnace Trail, a 5.7-mile trail where you can hike, mountain bike, bird watch, and examine the picturesque wild flowers. If that's not enough, Greenfield has three baseball fields, four basketball courts, three playgrounds (The Run, Magee Park, and Bud Hammer field), two deck hockey rinks, two soccer fields, and a swimming pool scattered throughout the neighborhood. Greenfield is also a quick walk away from Schenley Park, which is one of Pittsburgh's most popular parks. Once you are done hiking or biking, sit down for a great meal at one of the many places to dine at in Greenfield. Founded in 1758 after land was purchased under the Treaty of Fort Stanwix, Greenfield eventually became populated with Irish, Polish, Slovak, Italian, Hungarian, and Carpatho-Rusyn residents by the late 1800's. Greenfield played a small role in the history of the Civil War when it acted as a site of a small redoubt, or a fort usually comprised of an enclosed defensive position outside a larger fort. This small was outside of Fort Black on Bigelow Street, which was also known as Fort Squirrel Hill. This fort was one of the biggest forts built in Pittsburgh during the Civil War to defend the city from the Confederates. 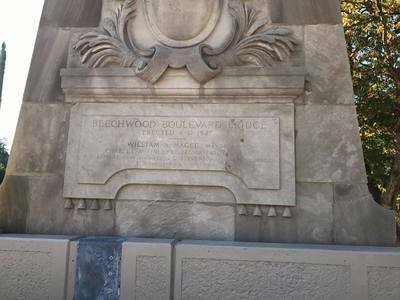 Then in the 1920's, the Beechwood Boulevard Bridge was built, which quickly became known as the Greenfield Bridge. This bridge spanned I-376 and connected Greenfield to Oakland as well as becoming the symbol of Greenfield. In 2005, the bridge was demolished to rebuild a "state-of-the-art steel open spandrel arch...by combining historical beauty while providing improved accommodations for pedestrians and bicyclists". 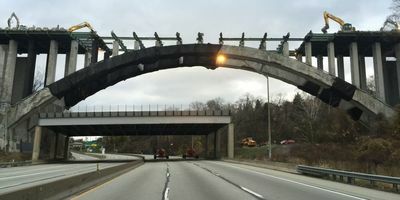 The new bridge connects Greenfield to Schenley Park and has introduced a 10-foot pedestrian sidewalk and reserved bike lane. 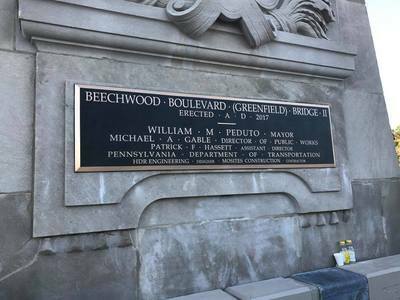 The Greenfield Bridge was reopened on Saturday, October 14, 2017 during a "Bridge is Back" celebration. Based on their love for a bridge, it is obvious the Greenfield community has an enthusiasm for the outdoors and their neighborhood. Like the rest of the Pittsburgh neighborhoods, Greenfield has many places to choose from when it comes to eating. 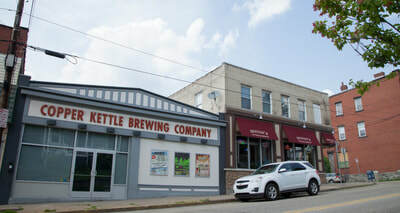 There is the Copper Kettle Brewing Company, where customers can brew their own single batch, one of a kind beer right there in the restaurant. Being the only brew on premises shop in Pittsburgh, this is truly an original experience. If you want to dine at a more "famous" eatery, then Big Jim's is the place for you. 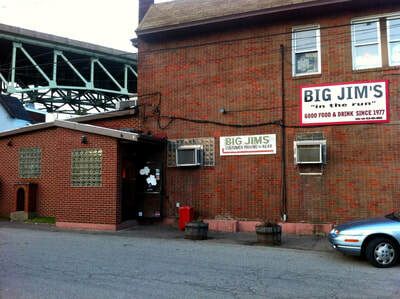 Featured on Diners, Drive-ins, and Dives, Big Jim's opened in 1977 and has been serving Pittsburgher's ever since. Boasting their large serving sizes, Big Jim's features a signature veal Parmesan sandwich that matches the width of Guy Fierri's head! 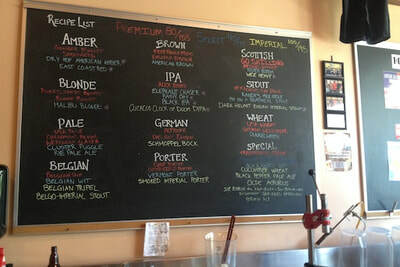 Lastly is Hough's Taproom, a laid-back brewpub that offers over 100 different bottled beer and 73 rotating taps. Their menu comprises of a variety of homemade pierogi dishes with a specialty pierogi of the month, featuring an Oktoberfest pierogi plate in the fall. To make this place even more fun, Hough's has implemented a trivia night every Tuesday that people flock to with a friendly, competitive spirit. These mouthwatering restaurants are surely to leave every customer satisfied. ​Don't worry, there is also shopping to be had in Greenfield. Embracing Pittsburgh's new organic craze, there is the Kretschmann Farm Organic Produce Delivery. The Kretschmann Farm is a farm located in Beaver County Pennsylvania that delivers their organically grown produce, fruit, and meats to the residents of Greenfield. Since, 1971, the Kretschmann Farm has been dropping off goods, now ordered through the internet, to the 4000 block of Haldane Street in Greenfield. If you are out to shop 'til you drop, then you will definitely want to visit the Waterfront. Although, not located in Greenfield, but a ten-minute car ride away, you will find an open-air shopping center on land that was once occupied by one of the largest steel mills in the United States. Shop at stores such as Macy's, DSW, Target, Barnes and Noble, and so many more. 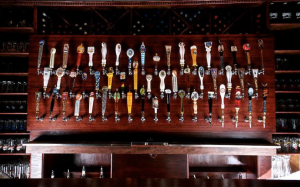 You can also find places to eat here as well like Bar Louie, Burgatory, P.F. Chang's, or Mitchell's Fish Market. If the shopping and dining here still isn't enough then be sure to immerse yourself in one of the many entertainment options the Waterfront offers. Catch a movie at the Loews Theater, win prizes at Dave and Busters, have a laugh at the Improv (the most respected name in stand-up comedy), get in touch with you artistic side at Paint Monkey, or enjoy the music at Sing Sing (an original dueling piano bar and brewery), the options here are endless! 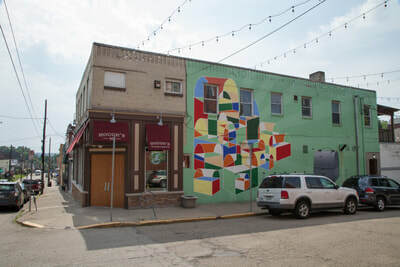 Every neighborhood in Pittsburgh is unique, bringing to life their own culture and embracing different passions, and Greenfield is no different. With things to do for people of all ages and interests, Greenfield is the place to be. With the updated construction of the Greenfield bridge, there is only expansion on the horizon for Greenfield. Make more money when selling your home!